A few years ago, I was killing some time in Wellington before catching a bus up to Palmerston North to start a new job. My Dad happened to be there at the same time as he’d flown up to visit a Te Papa exhibition. We had a bit of time before his flight home so we walked into a small, artsy cinema on the main street to see if anything was showing that we’d be interested in. A Documentary about the Camino de Santiago was showing at just the right time. 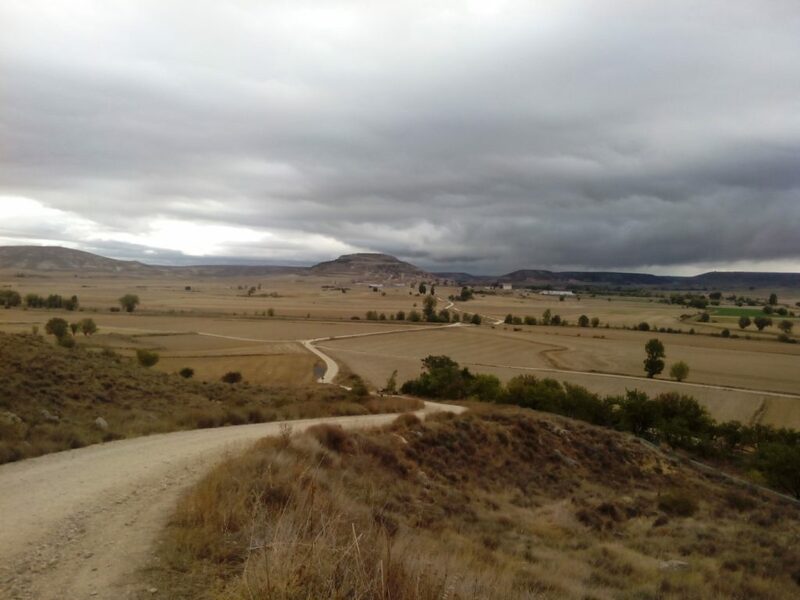 I didn’t know anything about the Camino, as it came to be known to me, but vaguely remembered my sister mentioning it as something she wanted to do. It didn’t seem like fate at the time. But later I would look back and see that as a fateful moment. That very same evening, I arrived in Palmerston North to find that my couch surfing host and future boyfriend, Michal, had also walked the Camino. As our relationship progressed, I would hear more and more about Michal’s Camino, and realize that it was something that I wanted to do myself, alone. As luck would have it, Michal’s New Zealand visa ran out and we were forced to relocate to Europe. 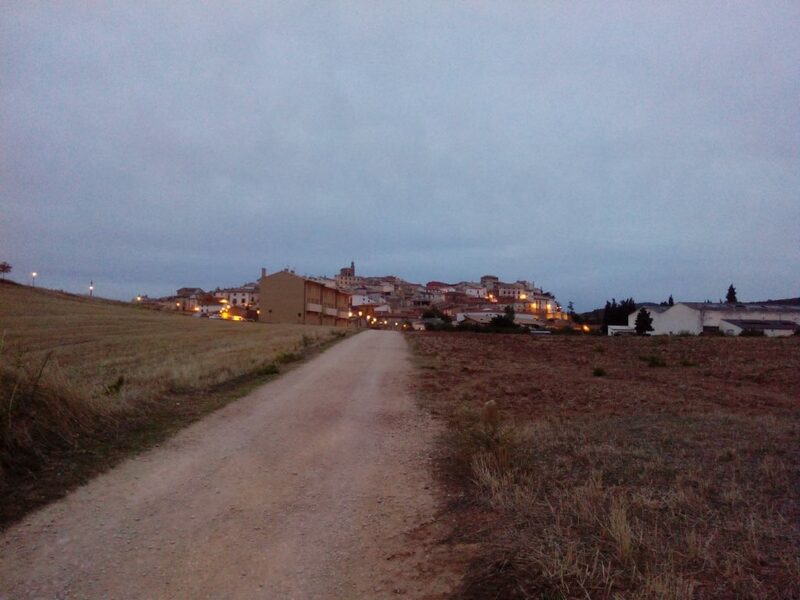 The Autumn of the following year, after finishing my Master’s thesis, the opportunity arose for me to do the Camino. I hadn’t been expecting anything specific to change in me. I didn’t go into the Camino with any particular goals as some people do. I just felt like the walk was calling me, and had a lesson waiting for me to learn. I knew I could go the distance as I had done similar things before with long hikes and cycling trips. But I was looking forward to seeing what my mind would do with all the free time. I was curious to see whether any emotional past events would rise to the surface and be released, leaving me lighter and more free to move on into the future. The first week or so of walking went smoothly and uneventfully. 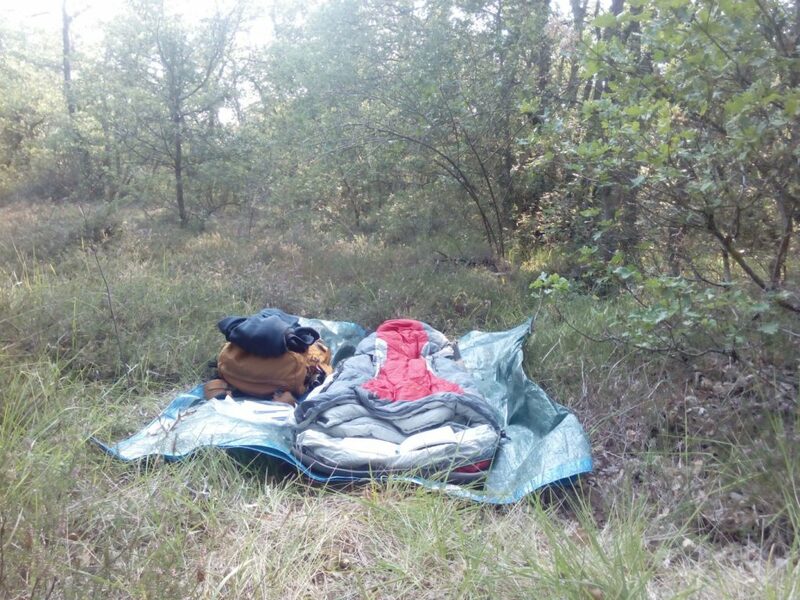 I was on a pretty serious budget so I was alternating between staying in albergues and camping out under the stars (this may warrant an article of its own – if you would like to hear more about cowboy camping on the Camino then comment below). This was all going well and I was actually really enjoying the balance of having cool, quiet evenings alone to to think in the silence, and warm, slightly more hectic evenings in albergues to shower and have a hot meal. There is this tiny, tiny part of me that is superstitious, but usually just with regard to Murphy’s Law. Well, Mr. Murphy was watching over me and making sure that my first Camino lesson would seem entirely the fault of my ego. I had just been starting to think – almost subconsciously, the thought was barely formed – that this walk had the potential to get a little boring. I wasn’t experiencing any of the challenges that most people experience, and I wasn’t particularly interested in meeting fellow pilgrims to form life-long relationships. Don’t get me wrong, I was loving the simplicity of the routine and beauty of the countryside and the quaint Spanish villages. I was definitely enjoying my Camino. I just had a very tiny sense of anti-climax. Mr. Murphy must have assumed that this was his cue to step in and stir things up a little, because that night, was the coldest night I had had yet. I woke up at 4am surprised to find that my sleeping bag wasn’t frozen, but wide awake with shivers wracking my body. I have to admit that at this moment, there was a part of me that wished I was tucked up in a cozy Albergue and not sleeping outside in single digits. But alas, I was on the ground, and I knew that without a stove to make a hot drink, my only option was to start walking and let the exercise raise my body temperature. Unfortunately for me, my rather slim figure wasn’t impressed by this plan and continued to shiver for the next 4 hours. Having been determined to pack light and not determined to walk in the dark, I hadn’t really packed enough warm clothes. The first few villages I passed through either remained closed to the world at 8am or didn’t have any cafes. By this time I was craving a hot drink, fantasizing about the sensation of the steaming liquid pouring into my stomach and warming me from the inside. Finally, at around 9am, I finally reached an open café and ordered a coffee with the most confident Spanish I was to display on the Camino. It helped a little but I remained a little chilled for the rest of the day. That night in the albergue, a woman was coughing in my room, and I knew, with fair certainty, that my fate was sealed. But just to make sure that there was no way I was getting out of this lesson scot free, the following day it rained, a mere 2 days after I’d posted my rain jacket home to reduce the weight of my pack. I made a makeshift raincoat out of some plastic bags but the damage was done. I felt the tickle grow in my throat and by the evening I was under the control of a fully-fledged cold. “What? !” I thought to myself. “How could this happen? I’m young, fit and healthy, and I need to be in Santiago by the 28th to meet my sister!” I was outraged that my plan was being thwarted. But this was all part of the bigger plan. It was time for me to realize that I was still too much under the grips of my ego and had been preoccupied with setting competitive goals for covering the distance and doing my Camino in well under the average number of days for common folk. In other words, I had become cocky and it was time for the Camino to bring me down a peg. Finally, I started to feel the weight of the cold leave me, and my strength return. I decided to start picking up the pace to make up time (I’m a slow learner), but something had changed. By being forced to slow down and see people pass me whom I had passed days before, I began to see the real meaning behind the Camino. I won’t do it justice by trying to explain it, but suffice to say, it’s not about rushing or competing, and it is about letting go of your ego and surrendering. 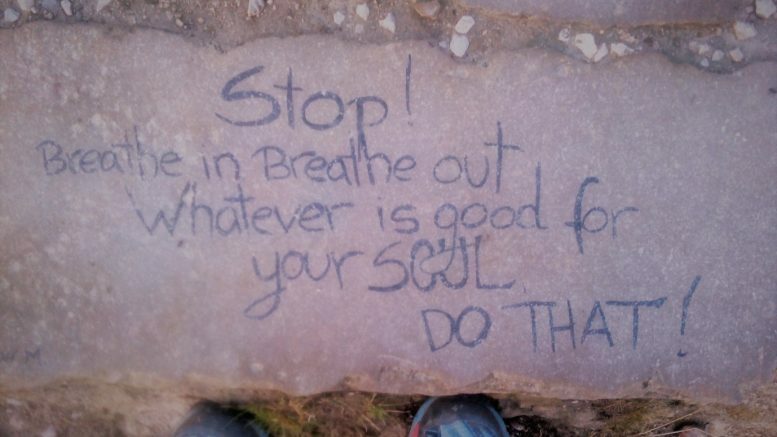 A few days later I cried for the first time on the Camino. But it wasn’t sad crying exactly. It was more like an outlet of the purest emotion that I didn’t know I contained. I couldn’t put words to what I was feeling, but it felt cleansing, like a huge weight being lifted off me. I got to the top of a small hill, consciously walking slowly to let people pass me, and when I got to the top, the view behind me was so beautiful, that the lump rose in my throat and tears spilled out of my eyes before I had a chance to realize what was happening. The next couple of weeks were pretty awesome. I found my rhythm and after 5 days of albergues while I got over my cold, I was back to camping out again and loving it. I walked at my own pace and watched my thoughts wander. Most of the time I wasn’t thinking about anything particularly profound, just planning what I was going to eat when I passed through the next town, or hoping I wasn’t getting sunburned. But occasionally I’d think about the past and occasionally I’d tell myself that I was doing ok at this life thing, no worries. One particular day sticks in my mind more clearly than the others. In one of the many small villages whose names I can’t remember, there was a doorway with a steady stream of pilgrims going in and out. Not usually one for following the crowds, my newly checked ego allowed me to check it out. 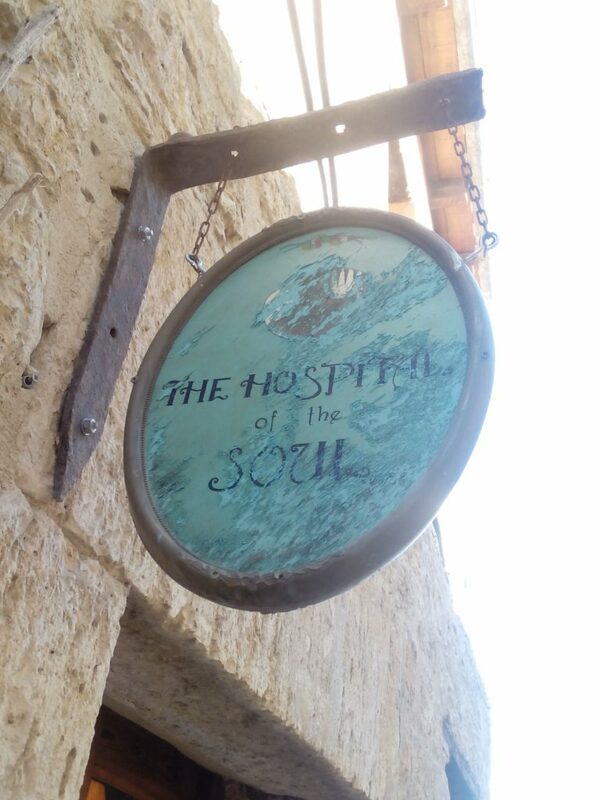 The sign above the doorway said “Hospital for the Soul” and inside was like a museum, but a much loved museum, with none of the creepy vibes that I get from some recreated scenes from times one by. It had been a spiritual resting place for pilgrims and continued to be to a degree. Some people sat meditating, others just quietly wandered through the labyrinth of beautifully decorated rooms. I began to feel emotional, as though there was love emanating from the walls of the place. I felt as though the single most important thing in that moment was to be kind to myself, and all of a sudden I could see all too clearly how so much of my life had been a form of self-punishment in one way or another. I could probably explain why I felt that way if I thought about it rationally for long enough. But I don’t need to, because it’s not important. In the garden, I stumbled upon a painting of the Buddha on a slab of wood, hanging from an old stone wall. It was so beautiful, I cried for the second time. This photo was taken by a lovely lady who was struck by how colourful I looked (this was completely by accident I assure you). I believe this is the happiest and most confident that I have ever looked in a photo so it has become my profile picture for more than one website! Things changed when I reached Sarria. 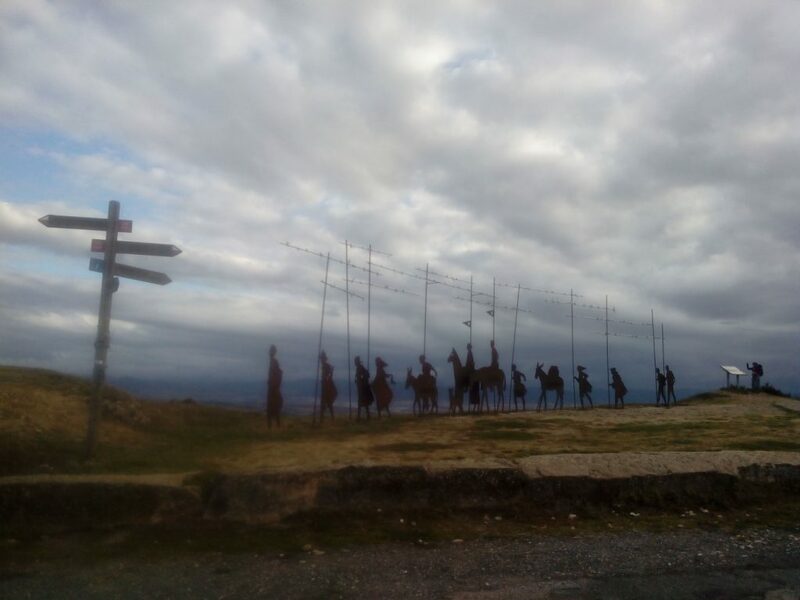 The last 100km or so of the Camino has become popular with tourists who want to get the certificate of completion but don’t want to commit to the whole 800km that has become the most common route, known as the French Way. All of a sudden instead of walking alone or quietly with a few others, the trail was busy and the other walkers smelled too clean. Their gear was too expensive and they talked too loudly. I found myself pick up the pace as the beauty of the Camino was lost for me on these final km. The rubbish was everywhere. Where previously it had been custom to leave unwanted items on the trail in case someone else might find them useful, now people had taken this as an excuse to dump anything and everything and it was sad and disgusting to see. There was also a fair amount of graffiti of people’s names carved into trees which is a pet hate of mine. I understand that many people probably see trees as mere wood and not living beings that can be injured or harmed by such carvings, but it still makes me so sad to humanity’s arrogance displayed so crudely. However, in spite of the negatives of the last 100km, there were still some beautiful moments, and the harsh return to reality didn’t dampen my emotions upon finally reaching Santiago. I woke early on that last day (about 3am if I remember rightly). I was staying in an albergue not far from Santiago and the dorm was hot and crowded. So once I woke, I knew I wasn’t going to be able to fall asleep again easily. I figured there was no time like the present, and walked the rest of the way into Santiago in the dark. I arrived just in time to get a morning coffee and have a croissant with my sister. And yes I cried when I stood in front of the Cathedral. All up my Camino took me 31 days in the end, but by the time I reached Santiago, I didn’t care that it was 4 days more than my original plan. 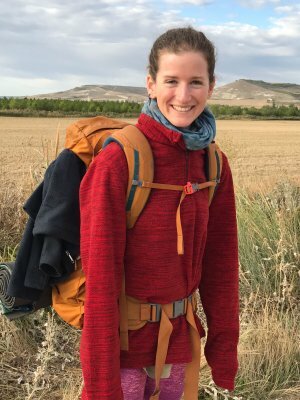 Everyone’s Camino is a different, individual experience so I know that everyone comes away with a slightly different lesson learned. The lessons aren’t a one-time thing either. They say that the hardest part of the Camino is returning to ‘the real world’ and putting the things you’ve learned into practice. It’s true. At least in my experience. But I am fairly certain, the Camino changes everyone who walks it in one way or another. If you’re considering doing it yourself one day, I highly recommend it. I used to be a crazy triathlete, had 3 jobs, studied full time and still caved to the social pressure to get drunk every weekend. Luckily I had my mid life crisis young. Now I'm all about slow, simple and frugal. Don't eat crap, don't buy crap, don't wear crap. Go hiking instead. 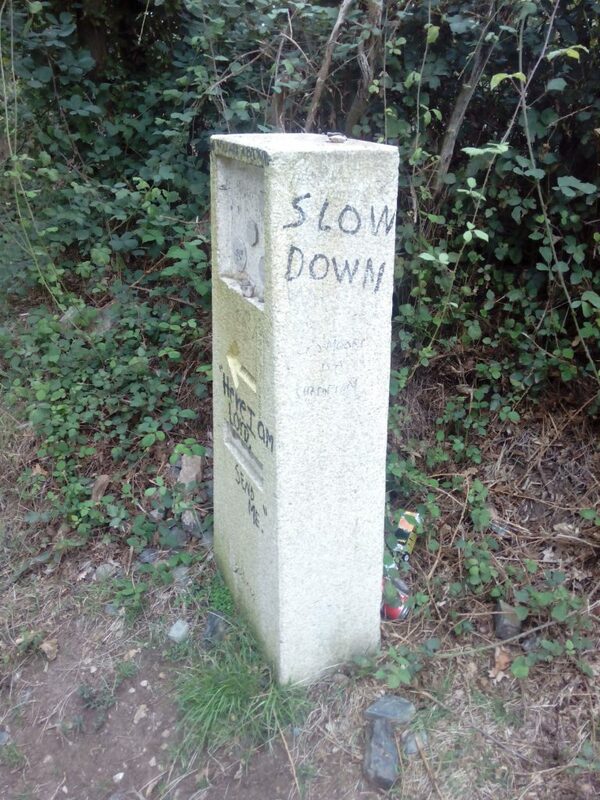 1 Comment on "My Camino – Anna’s Camino de Santiago de Compostela"